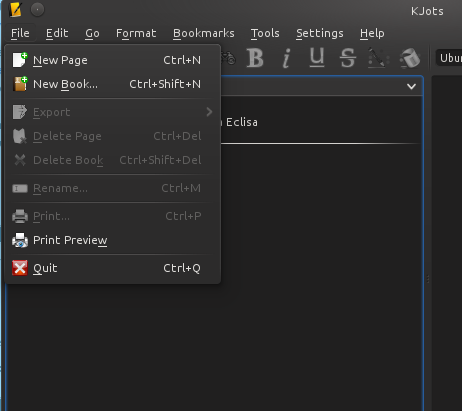 Older versions of KJots had a feature to restore or import books exported with the same app (an useful feature for migrations) but this version doesn't have it. OK, this is not serious; I can extract the information from the XML file, but think about the rookies there. Also I tried the kjotsmigrator utility but without success. I've attached a screenshot of the "file" menu. You can see the "export" option, but not any "import". It seems that you have to put a .book extension to the file you've exported before. Then, using the kjotsmigrator tool with the --interactive parameter, everything goes smooth.